The Kastel Christine Fitted Full Zip Jacket is a staple for everyone! It will take you to the barn, to the gym or out for a hike. Featuring a flattering, fitted design and unique collar, this jacket is also very lightweight and breathable- perfect for layer on those in between days at the barn. The super comfortable 94% polyester/6 % spandex material is also easy to maintain-machine wash cold, line dry. It will take you to the barn, to the gym or out for a hike. 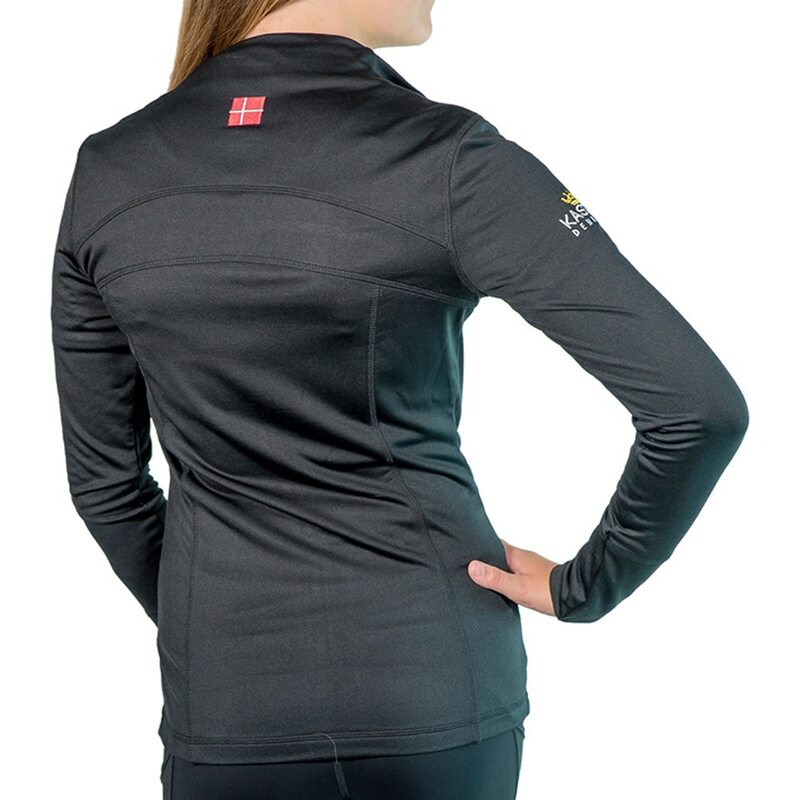 Featuring a flattering, fitted design and unique collar, this jacket is also very lightweight and breathable- perfect for layer on those in between days at the barn.